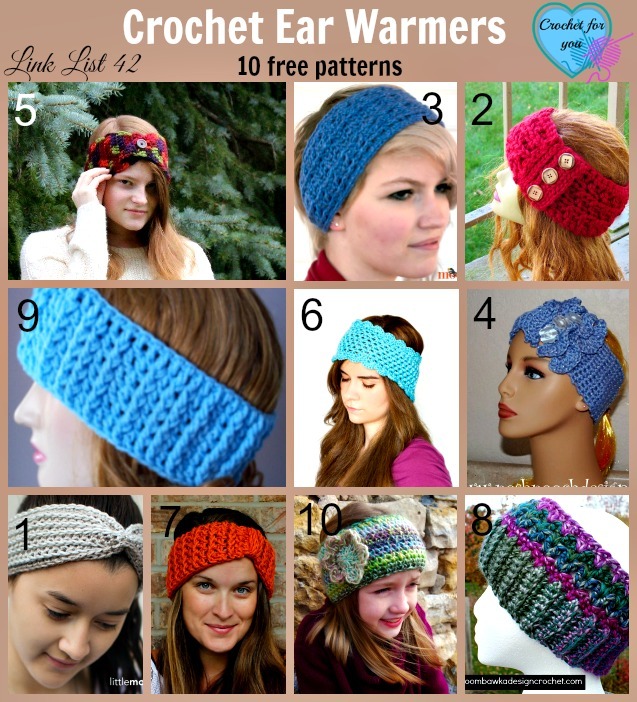 Crochet Braided Chains Headband / Ear Warmer Pattern by Crochet For You. 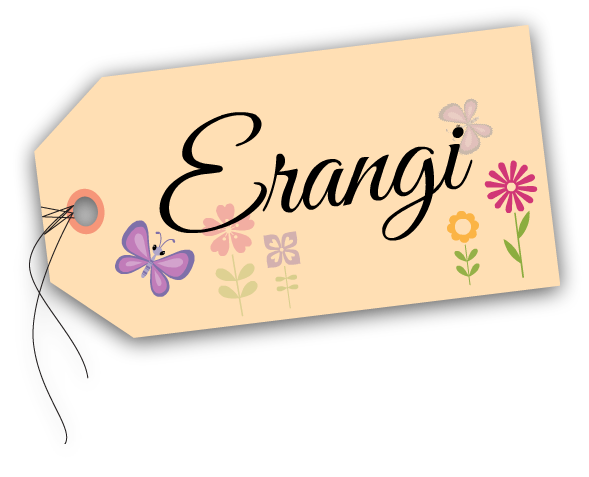 Hi, and welcome to my blog! 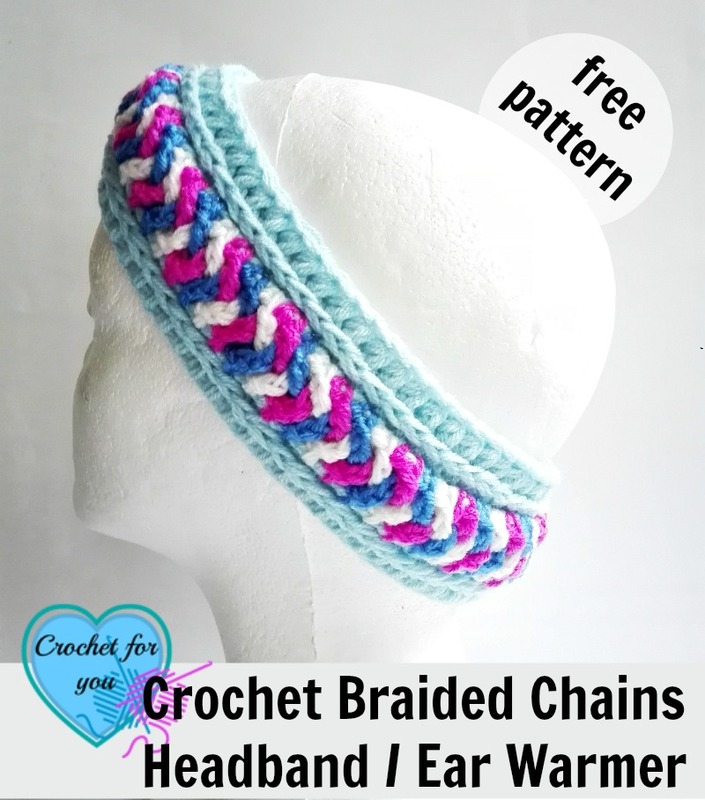 This week’s free pattern is Crochet Braided Chains Headband or you can use it as Ear warmer. I enjoyed so much with this pattern. 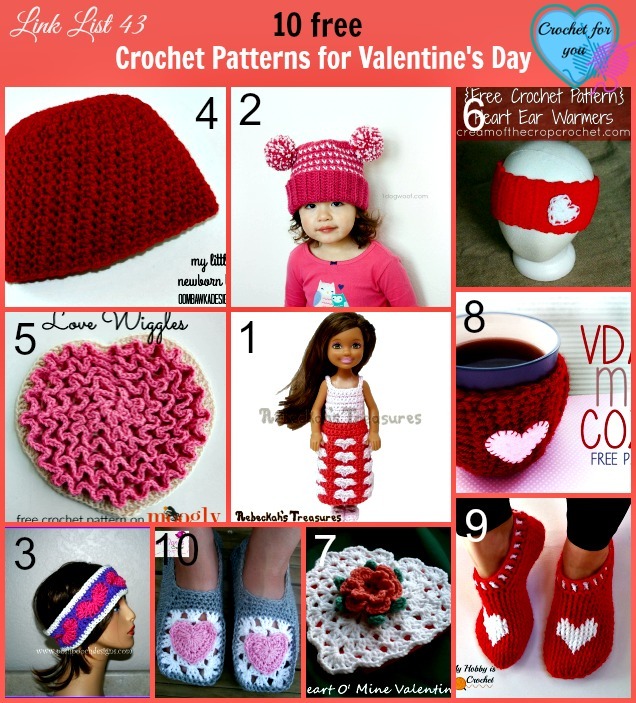 This pattern has two parts, headband and braiding chains part. 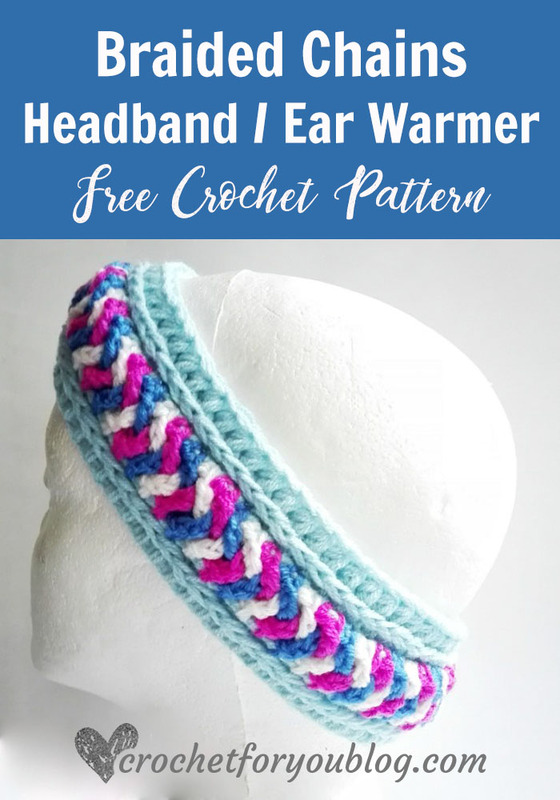 For the headband, I made a very simple pattern using normal hdc sts and hdc in 3rd loop. 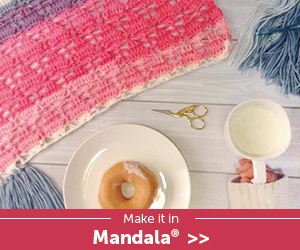 You can use your scrap yarns in 3 colors to make braiding parts like me. 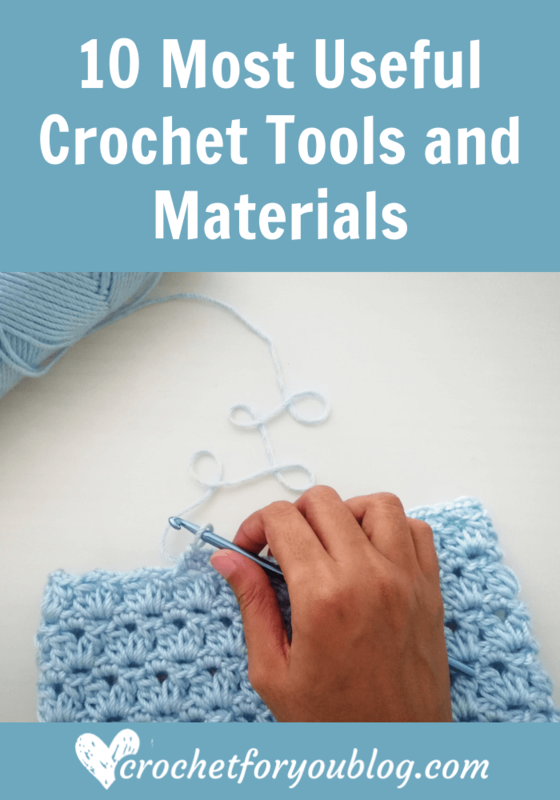 The crochet braiding part will not be very hard if you have an experience crocheting with multiple yarns at the same time. You can use worsted weight yarn to match with the gauge instead of 2 strands of sport weight yarn. Main Color (MC) for band = Approx: 45 yards of worsted weight (90 yards total, for 2 strands of Sport weight yarn). Approx: 8 yards of worsted weight (16 yards total, for 2 strands of Sport weight yarn) for each Color 1, Color 2 and Color 3. 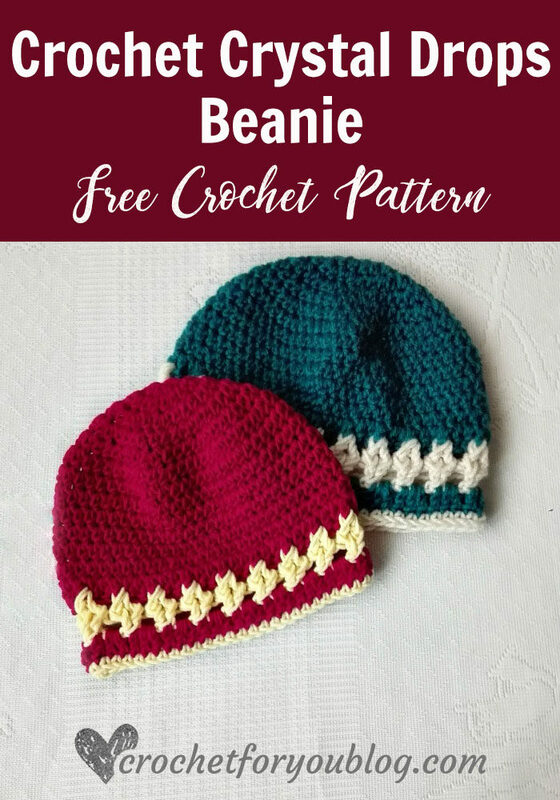 This is a free size pattern that means you can make this pattern fit your desired circumference. 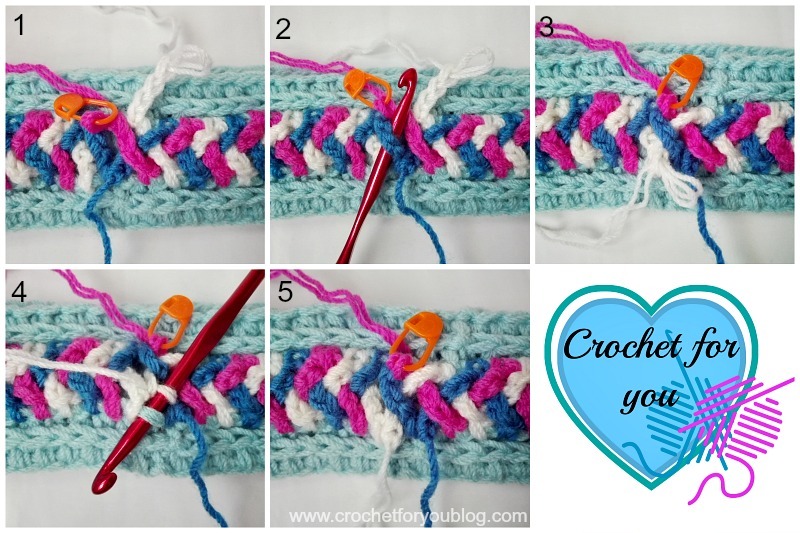 To get the desired circumference, crochet multiple of 3.
beg ch does not count as a st.
Use the stitch marker to leave the loop safe in crochet braiding chains part. In the beginning of the crochet braiding chains, you will feel very confused and messy. But when you soon grab the rhythm of the pattern, you will love it. 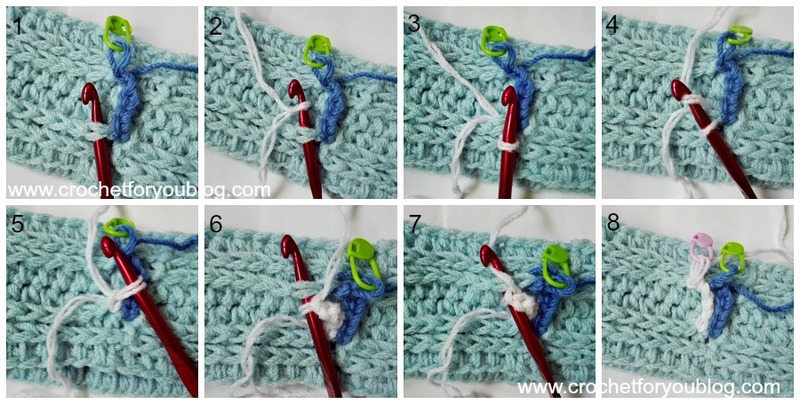 (MC) ch 66 with 5mm crochet hook, sl st into first ch. Be careful not to twist. Rd 3: repeat round 2. Rd 5-6: repeat round 2. Fasten off and weave the ends. Braided chains part with 5.5mm crochet hook. Insert hook back into C2 loop, ch 4, bring the chains in front, insert hook in next 2 top loops of st in round 2 (image 1 above), yo, pull back through st and loop on the hook, remove the hook from loop. (image 2 above) (Use stitch marker to leave the loop safe). Repeat the above steps until end. Always starts to crochet next braiding chains, the side where you finish last braiding chains. Insert the hook in other loops in that side. 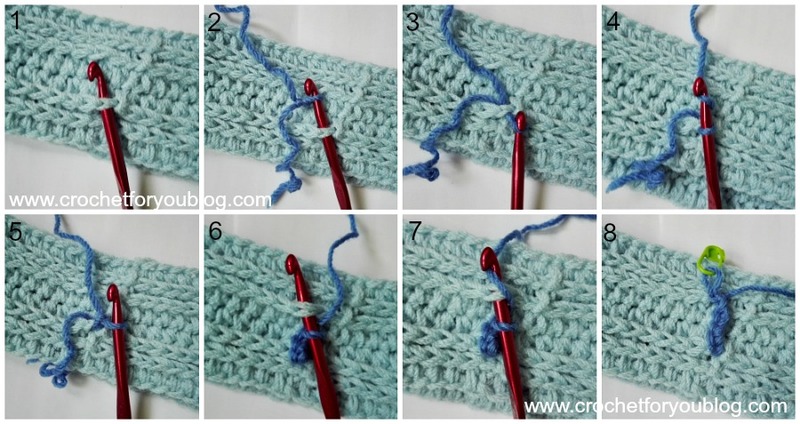 ch 4, bring the chains in other side and finish the stitch. Then insert the hook other loop in that side. 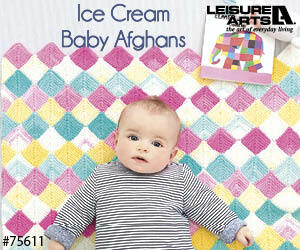 Follow the steps below when you come to last braiding chains of each color. Last braiding chains of C1: ch 4 (image 1), insert hook first 2 top loops of st in round 2 where you began to crochet braiding chains with C1 (image 2), yo, pull back through st and loop on the hook. Fasten off (image 3). 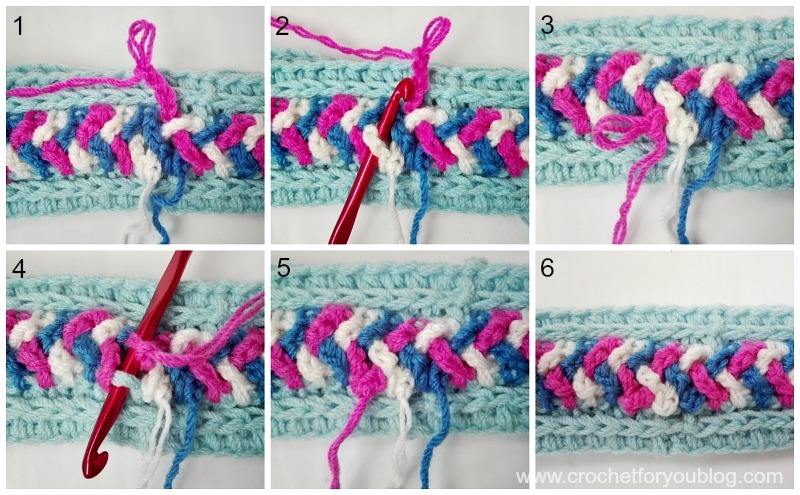 Last braiding chains of C2: Insert hook back into C2 loop, ch 4, cut the yarn leaving 6” long tail of yarn, remove the hook from loop (image 1), insert the hook under the first braided part C1 (image 2) and pull back the loop and yarn tail through C1 braided part (image 3). 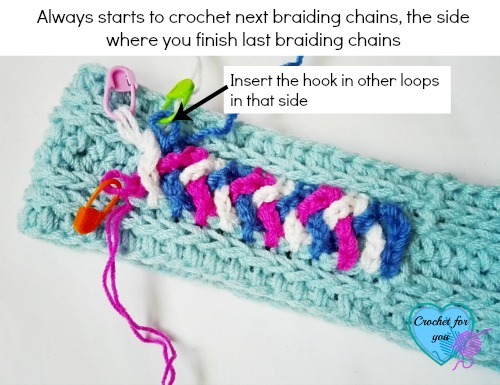 Then insert the hook back into the loop C2, insert hook in second 2 top loops of st in round 2 where you began to crochet braiding chains with C2 (image 4). yo, pull back through st and loop on the hook. Fasten off (image 5). ohhh so pretty and i love the colors you used! 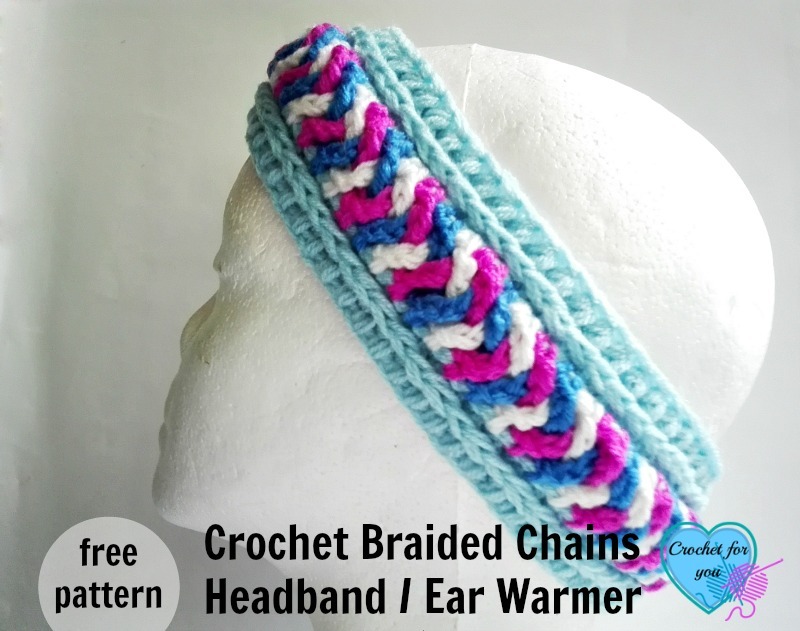 This braided chains headband will surely cheer you up on a too chilly day! 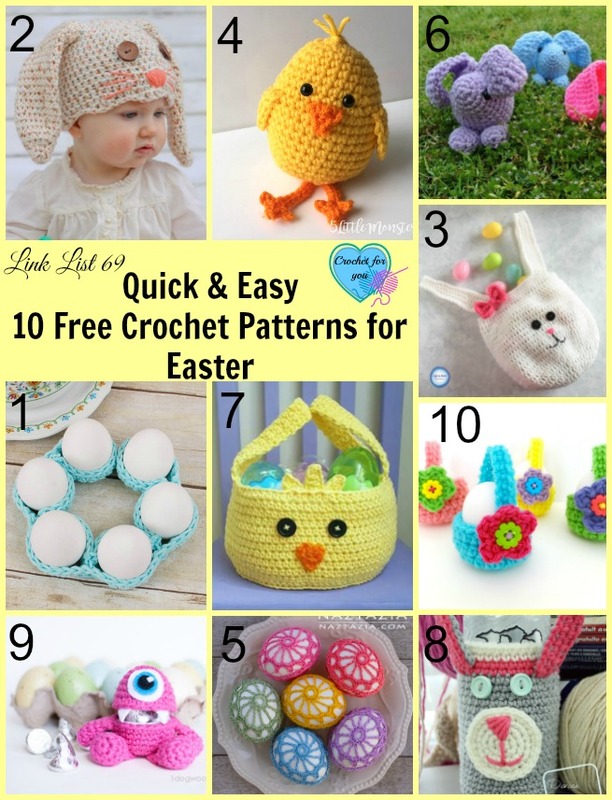 Thanks for sharing the pattern and tute! If you look at carefully in Material list and the beginning of the pattern instruction on headband part and braiding part you can see it.